In essence, I’m just a big kid at heart. 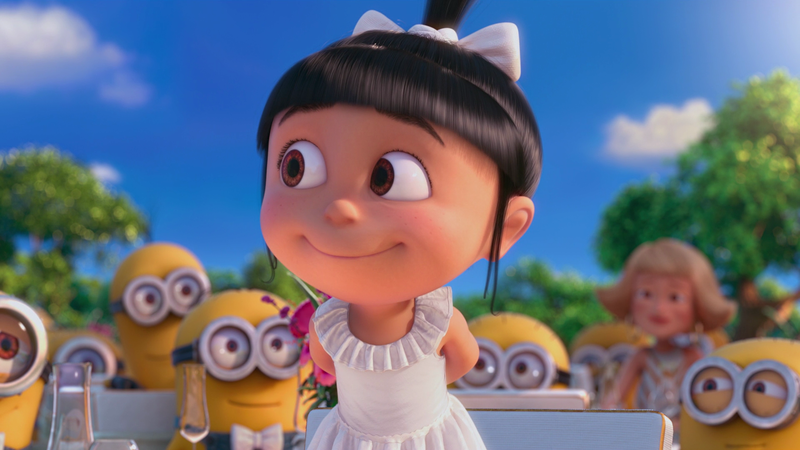 Just ask my alter ego Agnes from the Despicable Me films and my About page. I love her spirit and have long believed that honoring your “inner child” helps keep life fresh and can lend a “think outside the box” perspective in this messed up world in which we live. I’ve been feeling extremely beat up lately dealing with the mess of politics and the overwhelming force of negativity surrounding this election so I decided to call on my “inner child” and connect with my Despicable Me buddies – the Minions! I can always count on them as a source of laughter and encouragement to stay positive in an often times troubling world. Shout out to my girl Agnes! This entry was posted in Actors, Actresses, Animation, Comedy, Film History and tagged #iheartfillmblog, Agnes, Animation, Banana, Bob, Despicable Me, Illumination, Kevin, Minions, Stuart. Bookmark the permalink.